Happy Friday! Today I'm linking up with April, Natasha, Christina, and Darci for their Five on Friday Linkup. Here's a list of the five things I've been loving this week. I've been enjoying drinking green tea at work recently. I'm not a coffee drinker and I've tried to cut out soft drinks, so tea is now my option when I need a mid-afternoon pick me up. I've gotten into Yogi tea this week, I just love the inspirational messages that come on every tea bag. It's the little things. There are not too many things that I love about cool weather, I'm more of a spring/summer kind of girl. But one thing that I can appreciate is fall food. 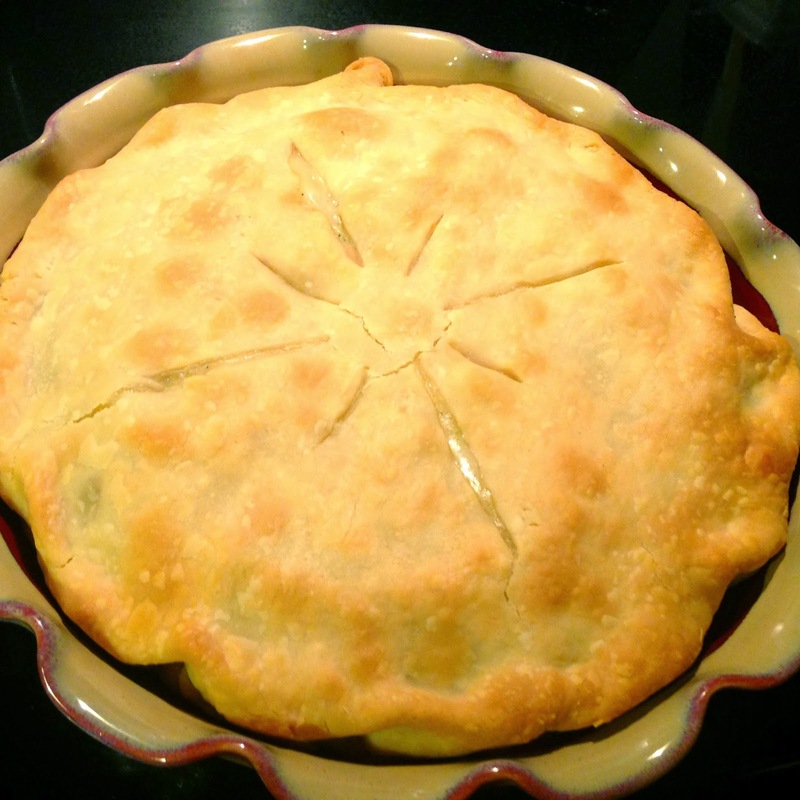 I love the heartier foods that fall brings, like soups, stews, and chicken pot pie. I made this chicken pot pie recently and it was so tasty. I used the simplest recipe I could find, straight off of the Pillsbury website. Even though I'm not a fan of cooler weather, I still like to look and feel good in the warm clothes that I have to wear. I desperately needed a medium-weight jacket, and loved this one that I found on C. Wonder's website. 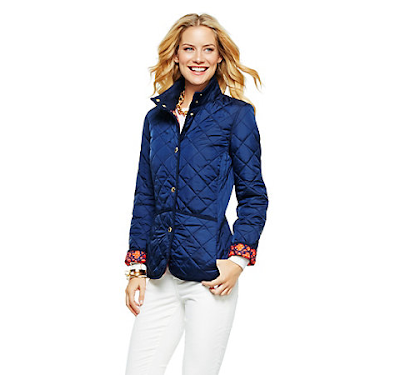 It's navy quilted fabric and has the cutest orange corduroy detail on the cuffs of the sleeves. 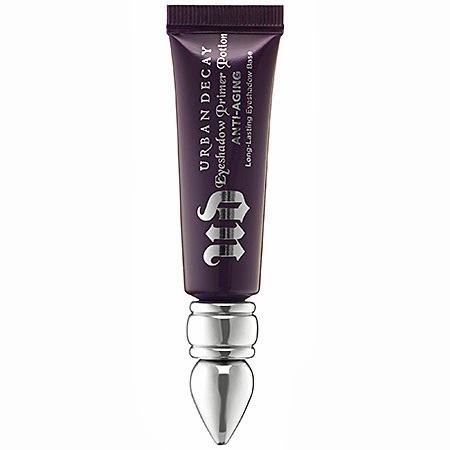 For months my sister April has been raving about Urban Decay's Eyeshadow primer. Last Sunday I finally bit the bullet and purchased a tube at Sephora. April has the original version, which sells for $20.00, but they now offer an anti-aging version for just $4.00 more. I'm absolutely loving it. I used an Ulta primer before this, which was good, but this one is great. My eyeshadow looks the same at 5 pm as it did when I applied it that morning. This weekend T and I are headed to Edisto with friends. I'm so pumped! The weather is projected to be in the high 80's, so it looks like we'll actually get some beach time. I'm so excited to squeeze in one more visit to the ocean, and get a little bit of tan before this skin doesn't see the sun for several months. found you on the linkup...yay! I don't miss soda since giving it up, and think tea is so much better now. That pot pie really does look so good! I want to try it. I literally just sent my mom a picture of that C.Wonder jacket- I am obsessed! I may have to add it to my Christmas list. Great minds think alike!! That eyeshadow primer is the best! I used it during sorority recruitment a few weeks ago (I'm an adviser) and I fell in love!